If you are missing a tooth or need to have a tooth removed due to extensive damage or decay, we have a permanent solution to restore your smile. Dr. Karen Davis and Dr. John Milne Dentistry offer dental implants in Sarnia, Ontario that allow you to speak, eat and smile like normal. You don’t have to worry about your new tooth slipping or coming out as it is anchored directly into your jawbone. When it comes to restorative dentistry, you have options, and our team is here to explain them to you. Schedule your confidential consultation today and find out if a dental implant makes sense for you. Implant – small titanium post that is surgically placed into your jawbone. This is essentially your new tooth root. Abutment – this piece serves as the transition between the implant and your new tooth. It is screwed into the implant and then provides the foundation for your crown. Crown – this will be your visible, new ceramic tooth that is fastened securely to the abutment. Our office uses digital, computer-aided design (CAD) software to fabricate precision CEREC® crowns. Since the overall restoration functions just like a natural tooth, there are no restrictions regarding foods you can eat. The actual implant (replacement tooth root) can last a lifetime but crowns are typically rated to last 10 to 15 years. However, with proper dental hygiene, you can extend the life of your crown. For many patients, dental implants are a great choice as they provide a secure, natural-looking solution to your missing tooth. To determine if you are a good candidate for the procedure, we will consider your overall oral health. Essentially, you need to have healthy gums and good bone density to support the implant. If you have periodontal disease or you’ve been treated for oral cancer, you are likely not an ideal candidate. You should also consider the amount of time it takes to complete the procedure. Once the implant is placed into your jawbone, it may take around 4 months for the area to fully heal. The crown cannot be placed until that time, so patience is definitely a virtue. Why Choose Dr. Karen Davis for Your Dental Implant in Sarnia, ON? 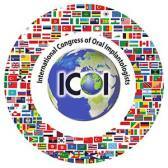 Dr. Davis earned the prestigious Fellowship Program Award from the International Congress of Oral Implantologists (ICOI), recognizing her extensive education and experience in this area of dentistry. When you choose our dentistry for a dental implant in Sarnia, you will have a highly-qualified and established leader in the field. Read more about Dr. Davis and her experience. Are you ready to find out if a dental implant is right for you? Give us a call to book your appointment. Whether you need an implant for one missing tooth or to hold a complete denture, we have your solution.